This journal Focus to facilitate scholar, researchers, and Lecturer for publishing the original research articles or review articles in management Science. 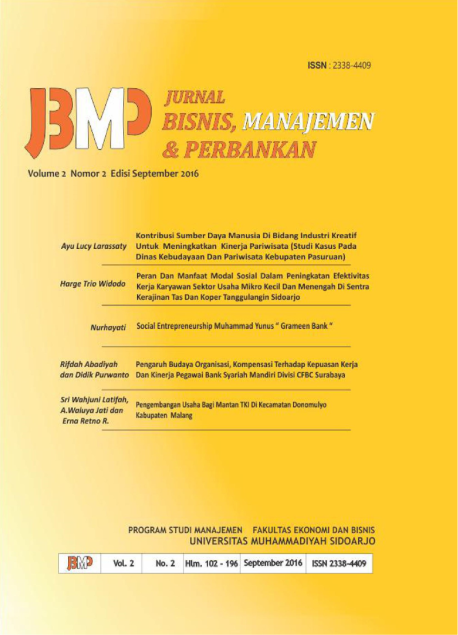 Articles to be published on JBMP (Jurnal Bisnis, Manajemen dan Perbankan) should follow the focus and scope of this journal. The article must have been edited according to the journal author guidelines before submitting.